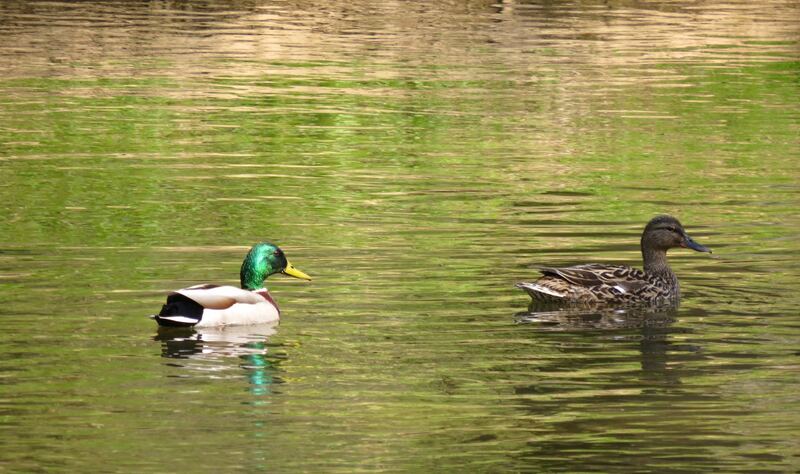 A mallard couple greeted me at the start of my trek. 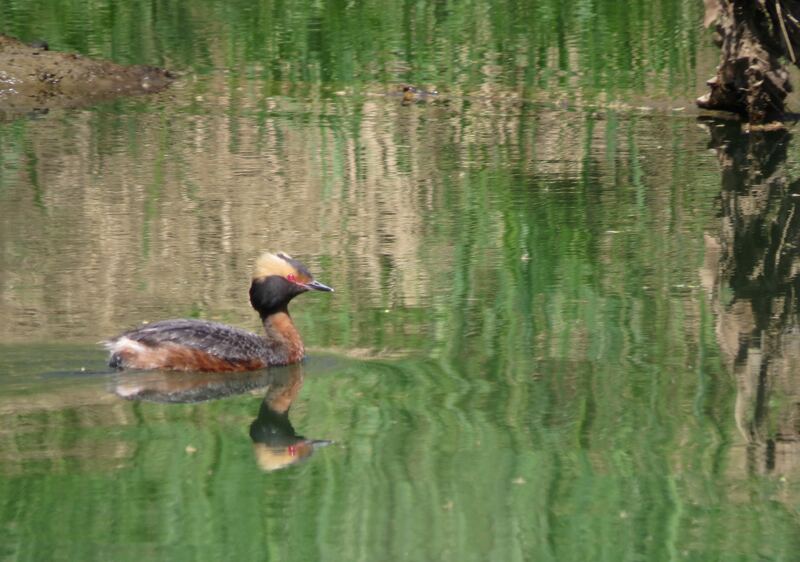 This horned grebe seems to be trying to lead me downstream — away from some ducklings perhaps. 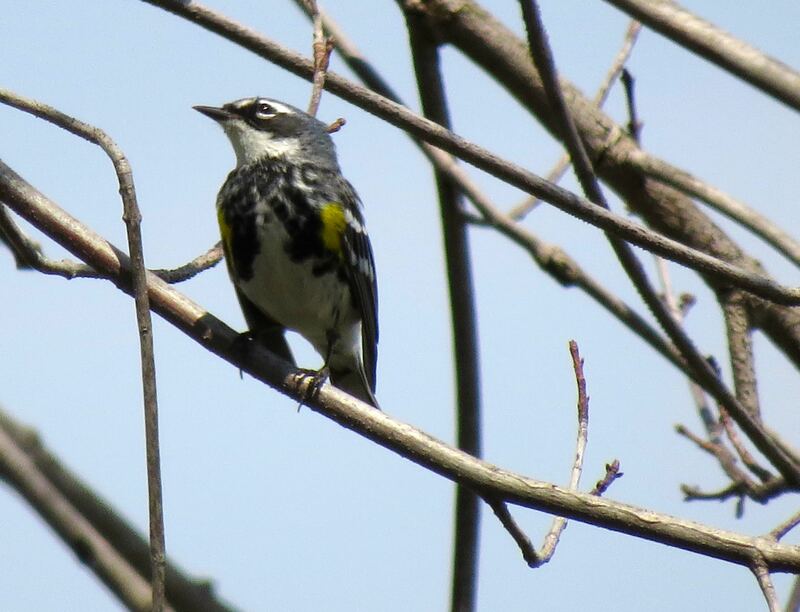 A yellow-rumped warbler looks out over Pleasant Hill Lake. Caught looking? 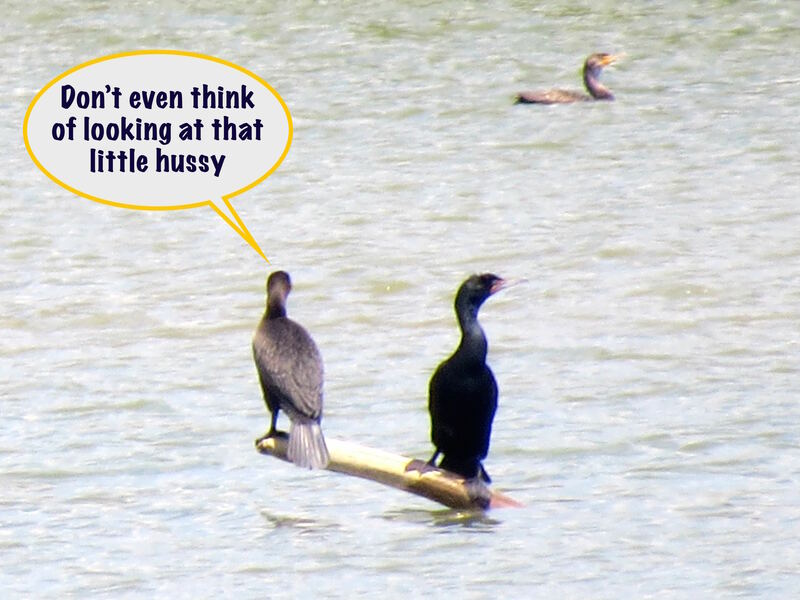 This photo of three cormorants begs for a caption. 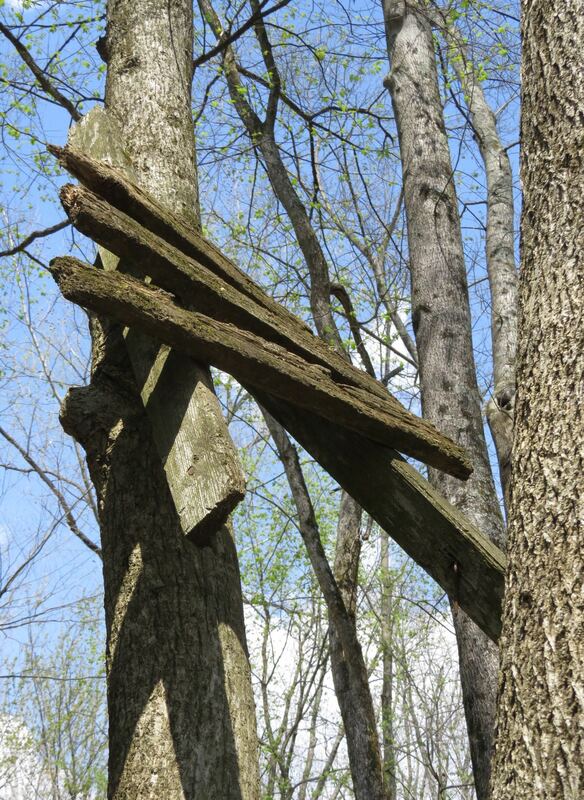 The last stand — this old deer stand has seen better days. 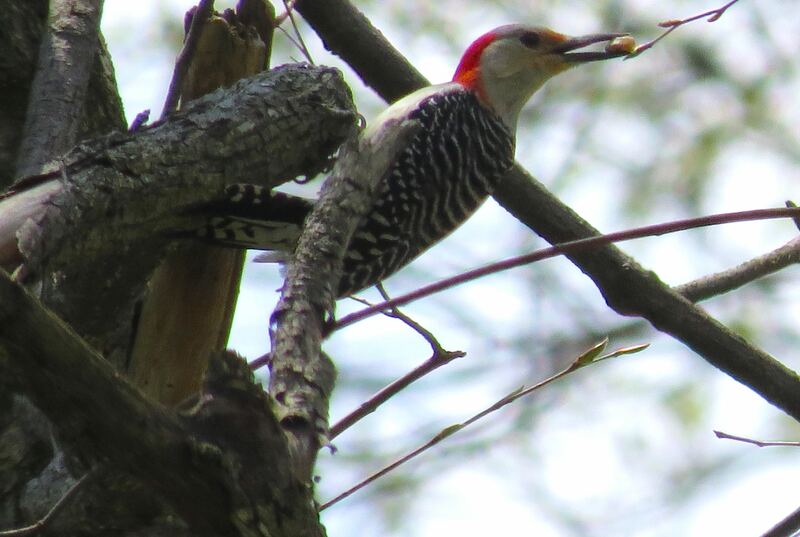 A red-bellied woodpecker grabs a snack in a tree near the ghost town of Newville. The town was razed and all traces removed in anticipation of Clear Fork backing up after the construction of Pleasant Hill Dam. It ended up being an incredibly expensive folly because the river didn’t back up that far. 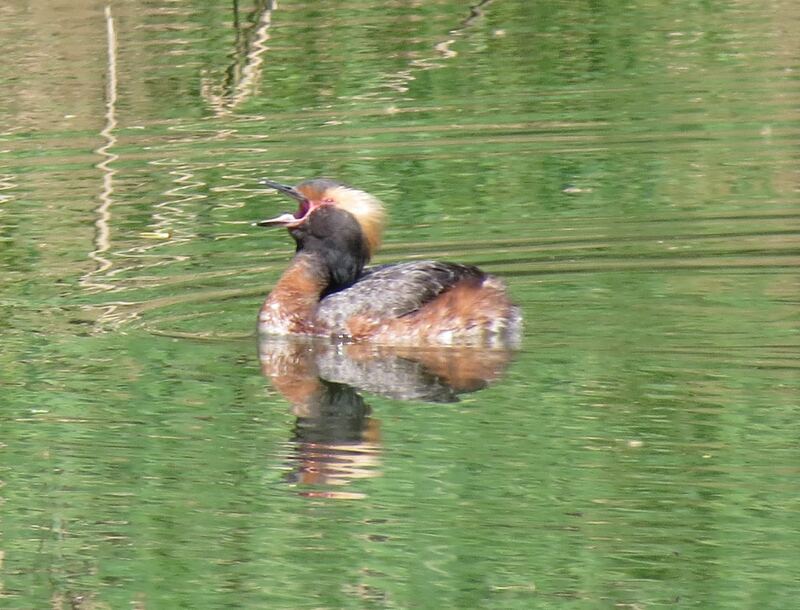 My favorite shot — a horned grebe calls out. Feel free to write your own caption for this one.